Elon Musk has got us used to dealing with issues on the edge of futurism. Autonomous vehicles, landing rockets, dozens and hundreds of underground tunnels. Compared to the least known project, all of this seems to be at hand. 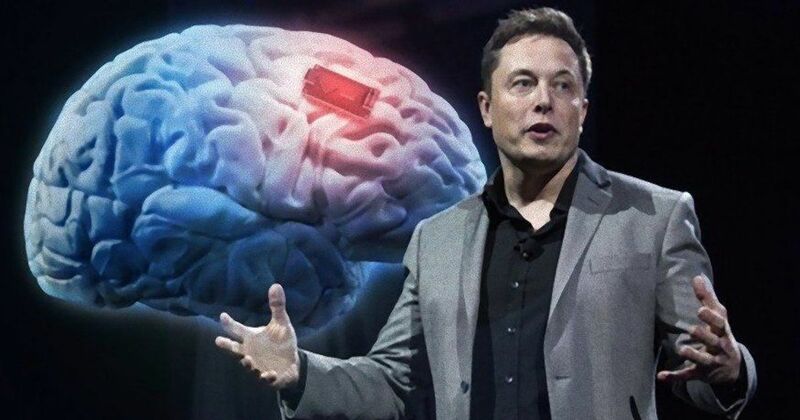 Even Musk, who is known for his optimistic terms, says that we will see the first results of Neuralink's work in 7-10 years. What does Neuralink do? It is a biotechnology company that brings together scientists from a range of fields who have a single responsibility - non-invasive impact on the human brain and its performance. The first goal is to help patients with brain injuries or Parkinson's disease. However, the next step is much more ambitious - combining the human brain with the machine to eventually add another digital layer. According to the plans, it is to allow cooperation with Artificial Intelligence and... completely change humanity. The tenant intends to use the 2nd floor as an interdisciplinary workroom for electrical, chemical, mechanical & materials engineering and computer science development, with a small machine shop attached, to modify prefabricated small bio-mechanical devices as well as perform 3D printing and CNC (Computer Numerical Control) milling. The machine shop is an accessory use to the workroom. The tenant intends to use the 3rd floor as a biological research laboratory for neurological interface testing and development. Ancillary to this use, the tenant will require a clean room for microfabricated device integration, a small operating room for in vivo testing, and a small room to house rodents. This will follow the CNC/NIH Animal Biosafety Laboratory Level 1. The use of rodents is exempt from the Animal Welfare Act. The clean room, operating room, and rodent housing uses are accessory to the laboratory use. From the outset, the plan was to develop less invasive solutions for the brain, so animal testing seems unavoidable. The permit to keep such mice and rats was requested in April 2017 and received in May of the same year. While consent is generally a formality, it should be renewed annually and no such renewal has been requested. In the meantime, the city authorities have requested technical details of the construction project, which was answered in July that the company had chosen a different location for the research. A spokesperson for the University of California admitted in an interview with Gizmodo that since July 2017 Neuralink has been sponsoring research at the University, which has faculties specializing in neurology and animal testing. However, we can be sure that if such a laboratory is actually in place, it is not in the State of California. Other states do not have the same mouse test requirements and can be tested without state authorization. However, there are further indications that such research is being carried out. In August, a post of a woman appeared at Linkedin, informing her that she had been employed as a surgeon's assistant to provide technical assistance during surgery. She boasted of extensive experience in animal surgery, such as rats, mice and rabbits. It seems that the company is still working on its own laboratory. At the end of November, a search notice for a construction project engineer with the position of laboratory manager appeared on the website. The terms of reference were similar to the care of the laboratory described in the first application. It is worth noting here the influence of Elon Musk - Neuralink seems to have a very solid funding. It is not a common practice to build such laboratories in the centre of a very expensive city. Interestingly, Neuralink carefully conceals all the technologies that are possible thanks to building everything internally. This is efficient, but it is also very expensive. However, it resembles a very flat structure of its other companies, boasting a horizontal integration of production within their own factories. All this information does not give us any clear picture, but it seems that it will take a long time before we can hear specific news from this particular company lead by Elon Musk.